Save Water: Keep the Lawn Mowed High in Summer! When it's hot outside and watering opportunities are limited, the last thing you want to do is mow your lawn too often or too short. Lawns, especially St. Augsutine, are better able to shade their roots and conserve moisture if they are left mowed taller during summer months. Mowing too often or too short will only stress the lawn further and cause you to have to water it more often. 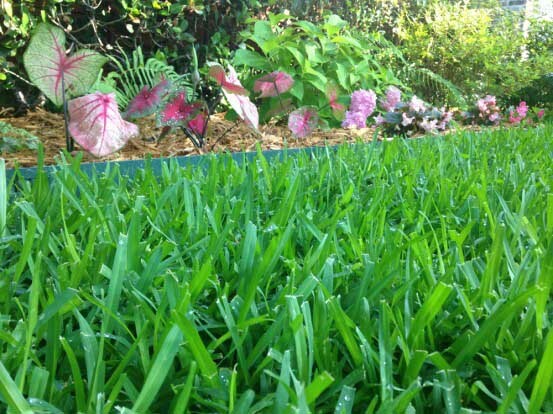 St. Augustine lawns can be left 3- to 4-inches tall in summer. Bermuda and Zoysia lawns can be left to 2-inches tall. Remember to only cut 1/3 of the leaf blade height at each mowing. More tips on good mowing practices here.